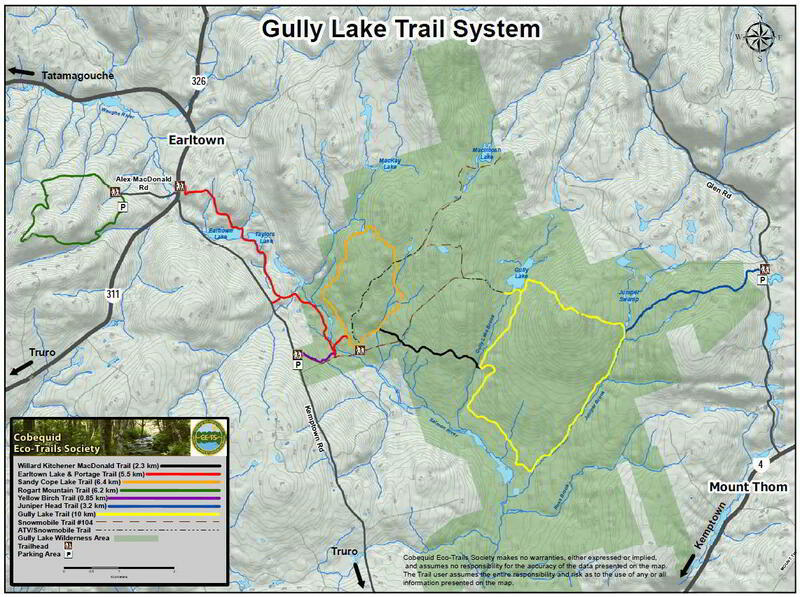 Information Hikers are advised to read and consider the Cobequid Eco-Trails Society Trail Users' Checklist before heading out into the Gully Lake-Nuttby Hiking System. This hiking trail is a 6.2 km loop with a "moderate" difficulty rating. The surface is soil and footpath; hikers are to follow trail and trail markers. Permitted uses of the trail are hiking and snowshoeing. 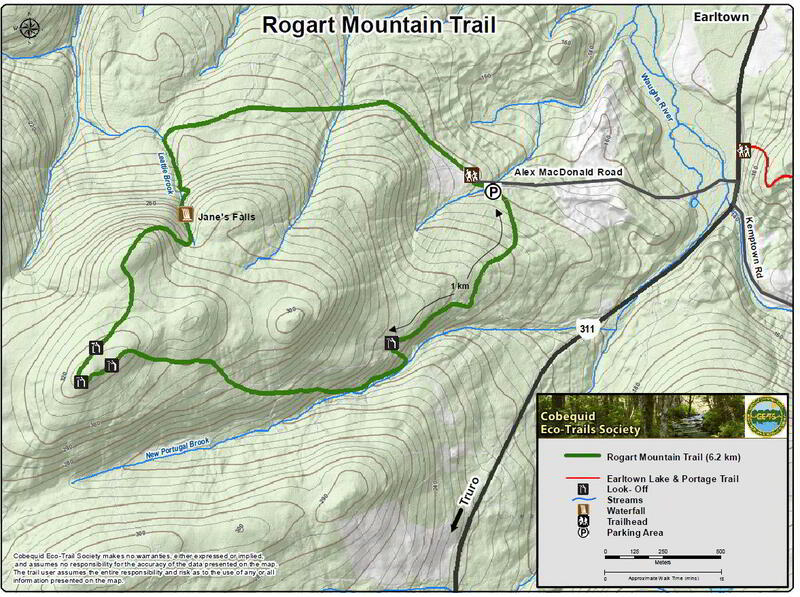 The trailhead access is at Sugar Moon Farm at 221 Alex MacDonald Road, off Route 311 in Earltown. Parking is available.